Photos taken by Matt Graves. Looking back over the years, we've re-organized the office server to collect data on the various types of projects we've taken on. 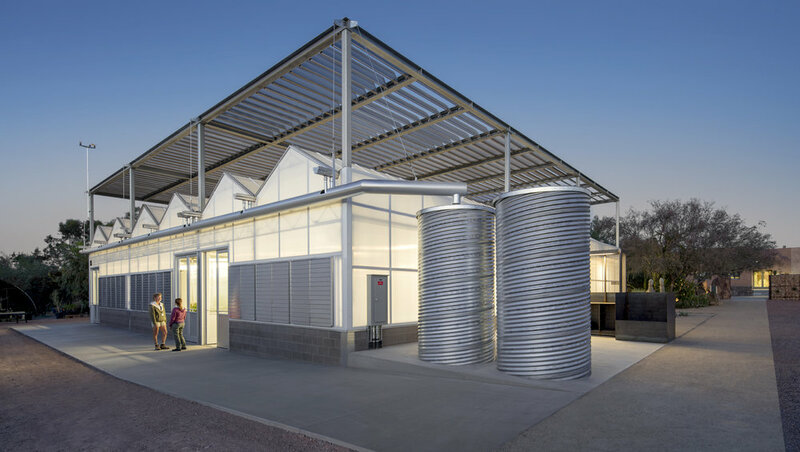 Dunlap Venue has received an AIA Distinguished Building Award! Matthew Salenger of coLAB studio leads a tour of the site, culminating at the new Greenhouse building. The second net-positive energy home by Vali Homes. Great Aerial by the GC, Sundt/Stacy and Witbeck Joint Venture of our canopy/shade venue.